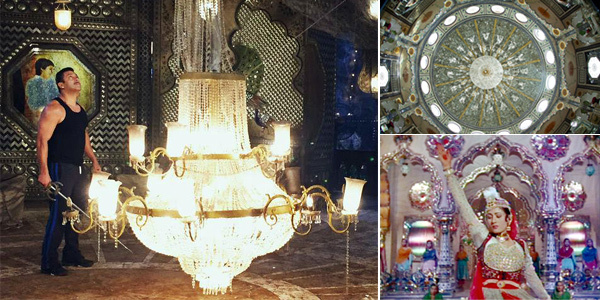 A replica of the same Sheesh Mahal has been recreated by Sooraj Barjatya in his upcoming film PREM RATAN DHAN PAYO staring Salman Khan in a double role. Film maker Sooraj Barjatya says that he has been inspired to recreate the Sheesh Mahal because the movie has a strong connect between the Sheesh Mahal and the film’s protagonist Salman Khan. “MUGHAL-E-AZAM is a movie that has ignited the creative nuances of many film directors and like many I too have been mesmerized by its magnificence both as a writer and director,” confesses Sooraj Barjatya.